Brought to you by the WSF-PR WIRE. The Waterfront School Foundation Parent Report Wire provides summaries of parent attended school events such as Parent Coffees and Curriculum Nights written by WSF members. The intention of the WIRE is to provide information to parents that may not have been able to attend the event in person. If you are interested in becoming a Parent Reporter, please fill out this form. The Waterfront School Foundation sponsored an ocean conservation enrichment activity focusing on marine animals on Friday, February 23rd for the Lower School Campus students. Mr. Patrick Donston, the owner of "Absolutely Fish" and a nationally recognized guest speaker on marine life and conservation spoke to our students about different marine animals and their habitats. Mr. Donston was assisted by an 8th grade student from Waterfront Montessori. The students learned many interesting facts about fish and conservation, and got to experience several different types of fish on an up close and personal level. 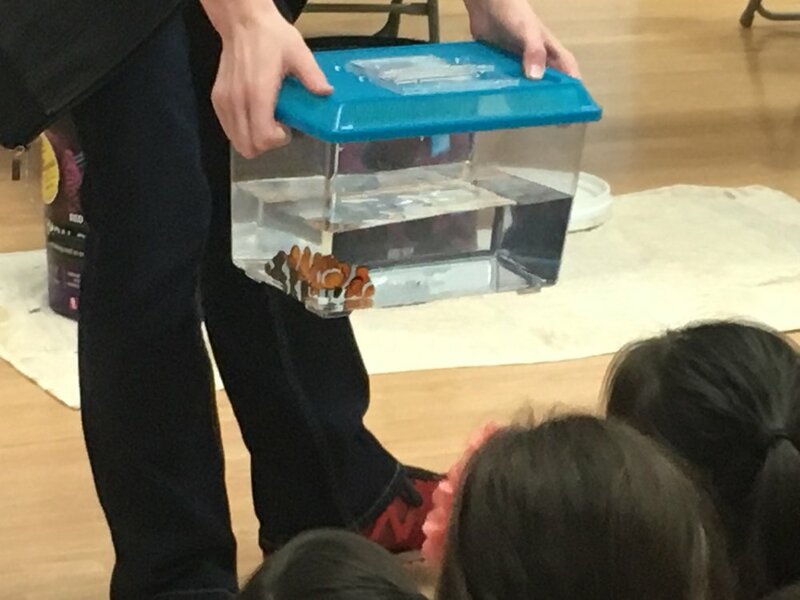 Mr. Donston showed the students two different types of clownfish (orange clownfish typically found in the waters near the Philippines and black clownfish from the waters off of Australia). The kids practiced “breathing like fish” through gills and got an opportunity to touch a sea urchin and a starfish (also called a sea star because it is not actually a fish). “It’s spiky” and “it’s rough” were some of the phrases used over and over as the kids felt the top of the sea star. 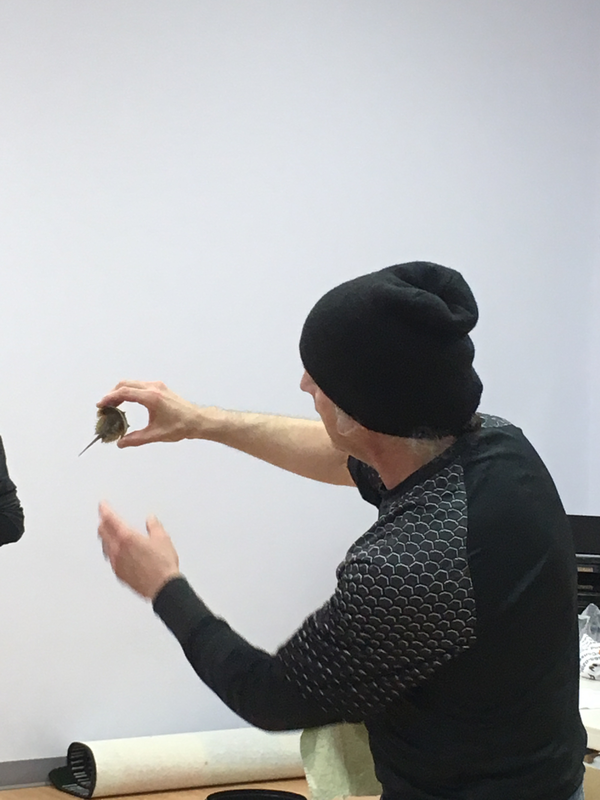 Mr. Donston showed the students seahorses and tang fish, two different types of crabs and even demonstrated how a pufferfish “puffs-up” as a defense against being eaten by larger fish. The kids were amazed to learn that baby seahorses are carried by the Dad (not the Mom) and that all clownfish are born male and then the dominant one in the group turns female. The presentation concluded with a visit from a baby shark! The kids asked lots of great questions and truly enjoyed the visit. We thank Mr. Donston and our student for a very wonderful and informative presentation.